The Israeli first part of the season just finished last Friday with Maccabi Rishon LeZion in the first place. Saar Frenkel’s players beat H.C Ness Ziona 30:26. That was the 11 league win out of 11 matches. 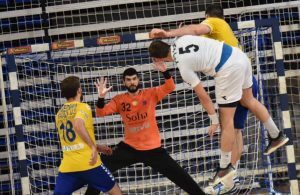 The injured league rival, Hapoel Rishon LeZion, without the Serbians, Novak Boskovic and Savo Mester, and the Israeli national middle back, Yuval Gerera, looked pathetic in the match with Hapoel Ashdod. Ashdod won pretty easily 29:24 while the Serbian goalkeeper, Tomislav Stojkovic, gave 44% efficiency. The biggest disappointment so far is without a doubt, SGS Ramat Hasharon, that with the 2nd biggest budget in Israel finished in 8th place after another loss, 31:30 to Maccabi Kiryat Motzkin. 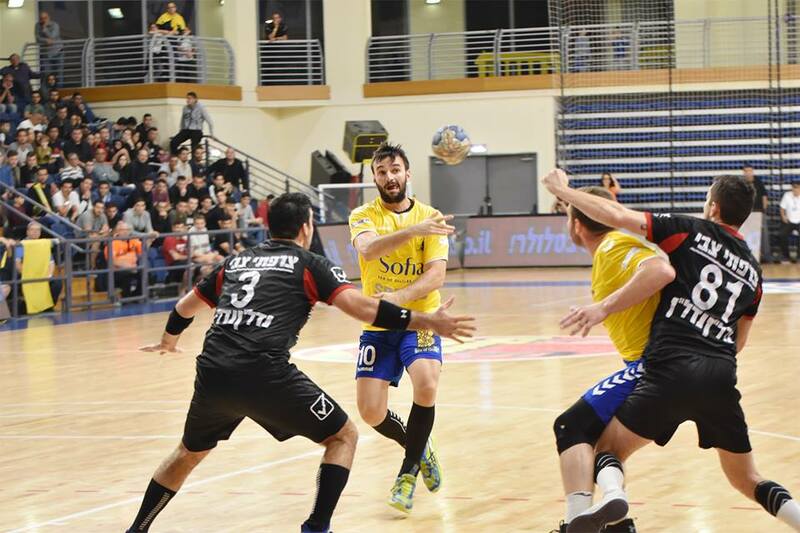 Ironi Rehovot beat 26:23 Hapoel Kiryat Ono and Bnei Herzliya finished in the 5th place with 32:29 on H.C Beer Sheba. In the Bottom of the table, H.C Holon took very important 2 points with 31:23 on Hapoel Ramat Gan. On Monday, The Israeli cup first round: H.C Holon – Bnei Herzliya, Maccabi Dimona (2nd league) – Hapoel Rishon LeZion, Maccabi Tel Aviv (2nd league) – SGS Ramat Hasharon, Hapoel Ramat Gan – Maccabi Rishon LeZion, H.C Beer Sheba – Hapoel Kiryat Ono, ASA Tel Aviv (2nd league) – H.C Ness Ziona, Maccabi Petach Tikva (2nd league) – Hapoel Ashdod, Maccabi Kiryat Motzkin – Ironi Rehovot.